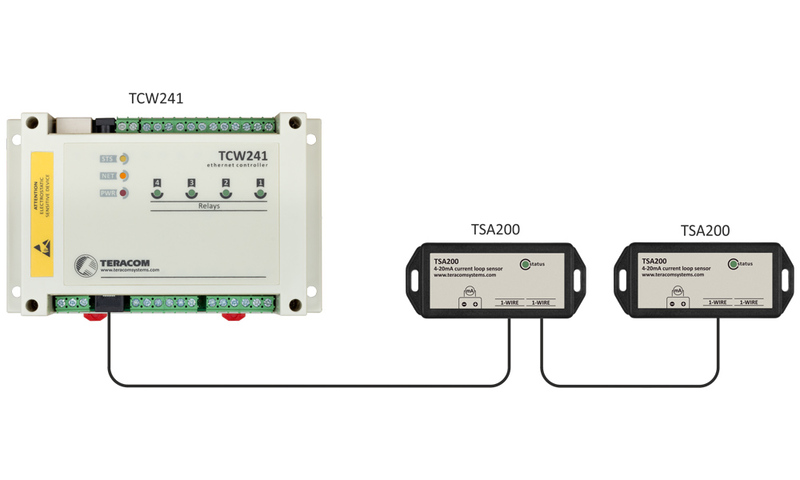 TSA200 is a 1-Wire current loop transmitter with 0-20/4-20mA input and IP30 protection. 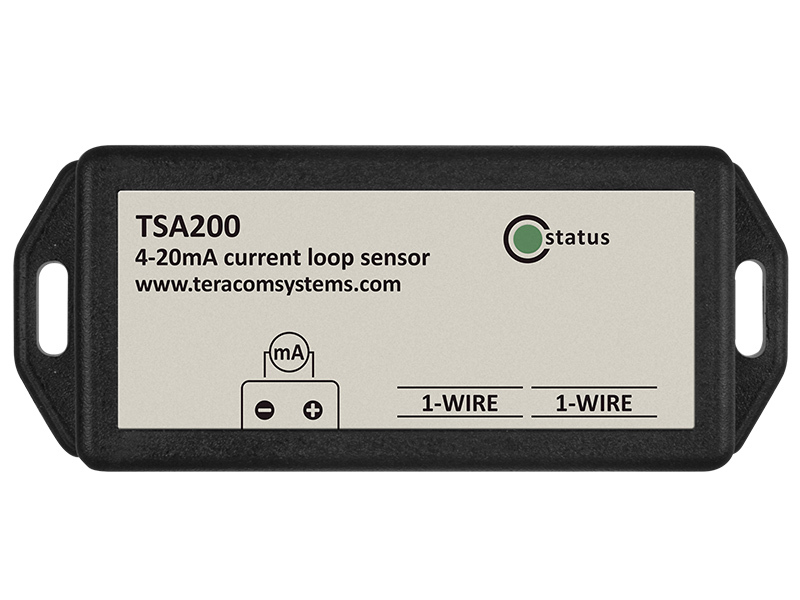 TSA200 is 1-Wire current loop transmitter with 0-20mA/4-20mA input range. The current loop input is galvanically isolated from the interface. The device communicates over a 1-Wire bus. Each sensor has a unique 64-bit serial code. This allows multiple sensors to be connected on the same 1-Wire bus. The 1-Wire current loop transmitter TSA200 has two RJ11 connectors for a daisy chain of multi-sensors systems. 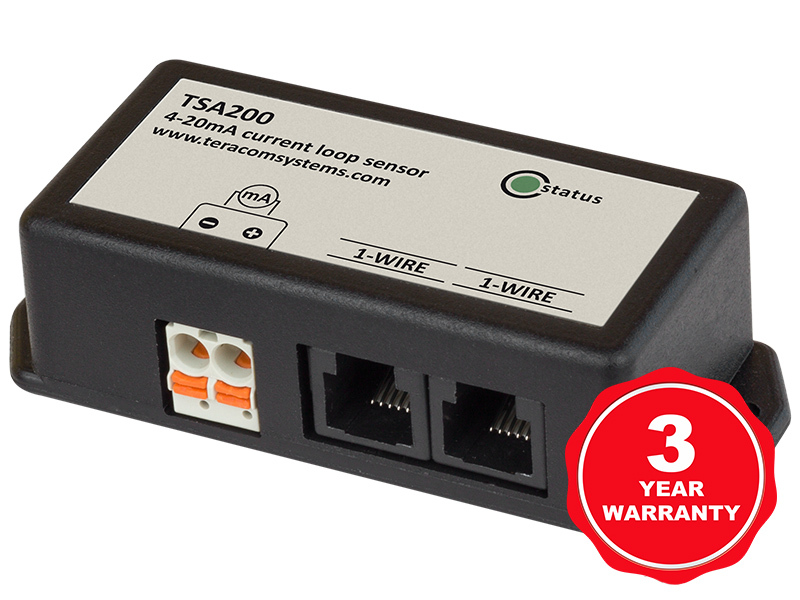 TSA200 can be connected to almost any industrial sensor with a 0-20/4-20mA output. Output readings in mA can be converted to other units, using offset and multiplier of the controller. The sensor can be used for measuring of electrical and non-electrical parameters – liquid levels, air pressure, gas concentration, illumination, acidity (pH), etc. TSA200 is a passive device, for some applications external DC power supply will be needed – typically 12/24/36VDC. Unique 64-bit serial number for multi-sensors support. High current monitoring with split core transducers for industrial processes.